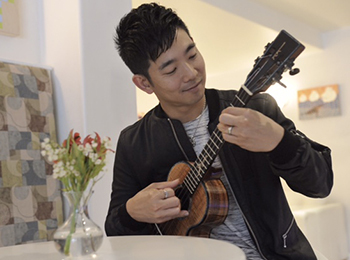 Jake Shimabukuro, a Hawai`ian ukulele virtuoso, composes music combining elements of jazz, blues, funk, rock, bluegrass, classical, folk and flamenco. 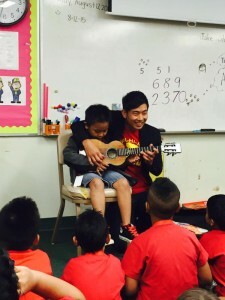 At the age of four, Mr. Shimabukuro’s mother gave him a ukulele, which he quickly took an interest in, playing it many hours a day. 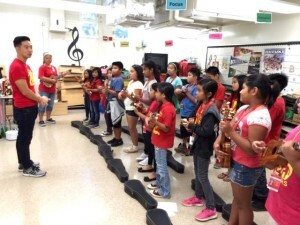 His mother, an accomplished ukulele player and singer, was his first teacher. Well known in Hawai`i and Japan during his early solo career in the early 2000s, Mr. Shimabukuro became famous internationally in 2006, when a video of him playing a virtuosic rendition of “While My Guitar Gently Weeps” was posted on YouTube without his knowledge and became one of the first viral videos on that site. His concert engagements, collaborations with legendary musicians, media appearances, and music productions have snowballed since then. In 2012, an award-winning documentary was released tracking his life, career and music, titled Jake Shimabukuro: Life on Four Strings. 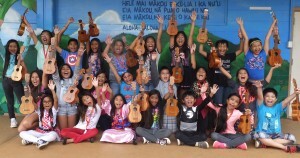 As a Turnaround Artist, he will be working with Kalihi Kai Elementary School in Honolulu, HI.